Ding dong! Another SARANGE's product review from me. Sarange has been one of my top list of cosmetic brands because their products really work like magic and its affordable at the same time. Remember their Maxy Snow product that makes your skin twice whiter? 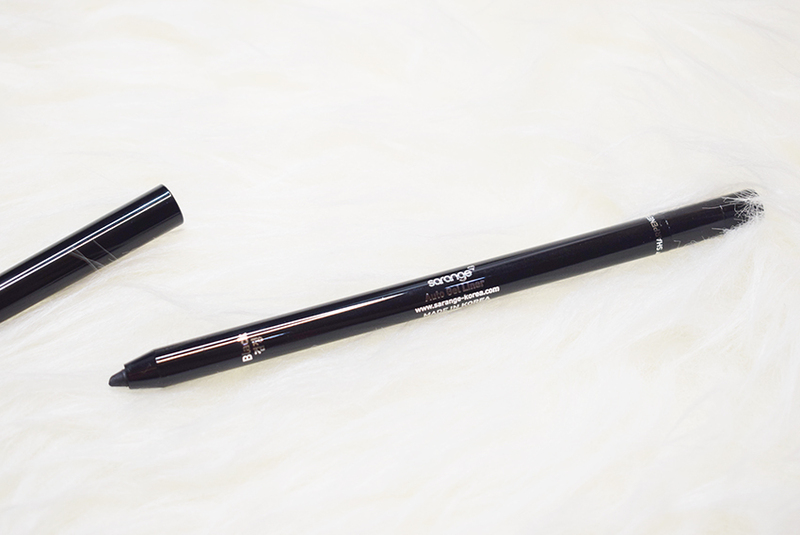 Yup, it's the same brand that I am going to review today but this time its their eyeliner product! Sarange is an original cosmetic and skincare brand from Korea which formulated specially to enhance the beauty of your skin. All products are made by laboratory checked and approved natural grown ingredients. Their products are also manufactured by a team of highly specialist expert and proven to be a successful cosmetics & skincare that they are proud of. 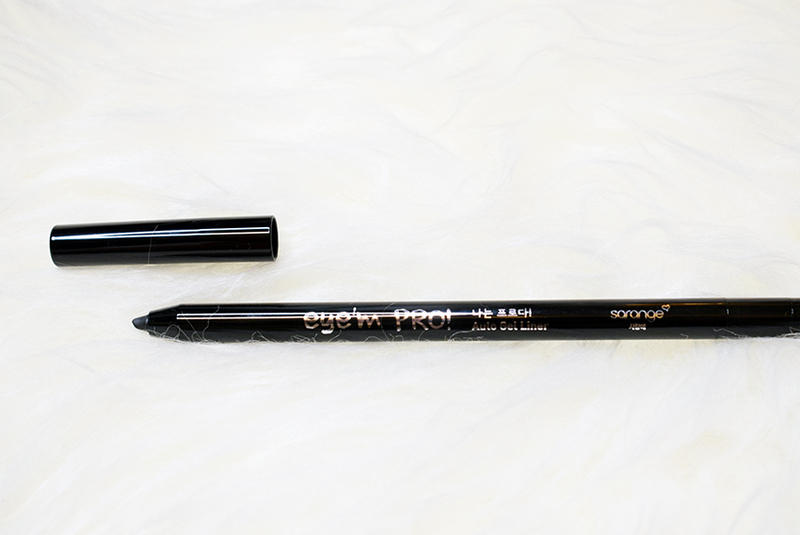 Sarange's latest product is Eye'm Pro Auto Gel Liner; a gel pencil eyeliner. They did a test market on June and you know what? It has been sold out ever since! They sold 700+ eyeliners in a month. But don't worry, this product will be available soon enough around Mid August. 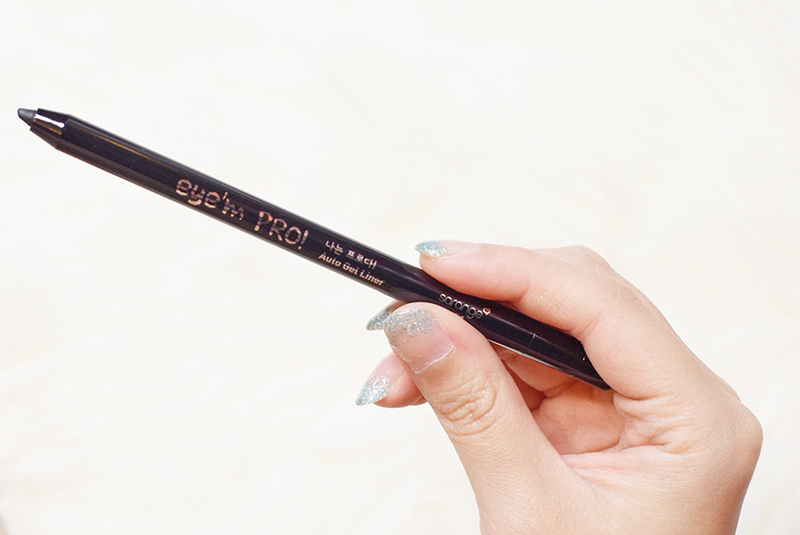 As the name said, it is a gel eyeliner. It has only 1 variant which is black colour. 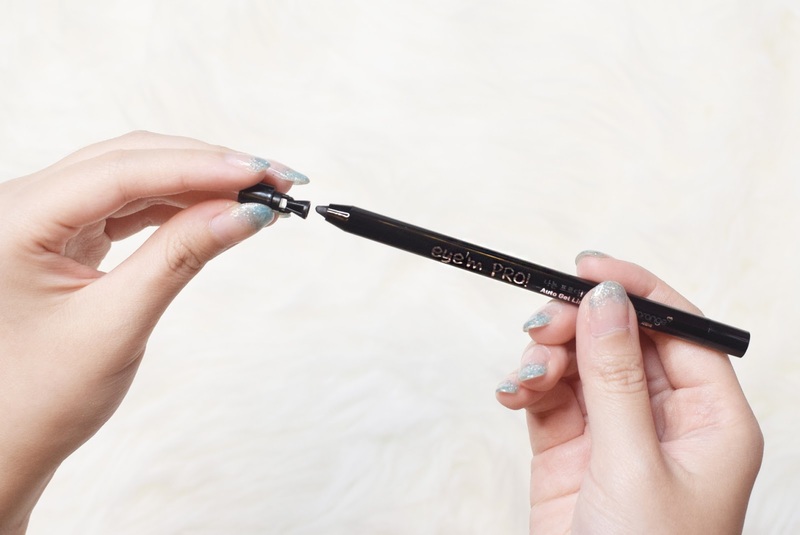 What makes it different than other eyeliner pencil is that this one has a sharpener attached on the other side of the product! So on the left you will have a fine tip of black eyeliner, on the right you will have a sharpener for you to sharpen the eyeliner. I have tried the product and its really easy to apply. 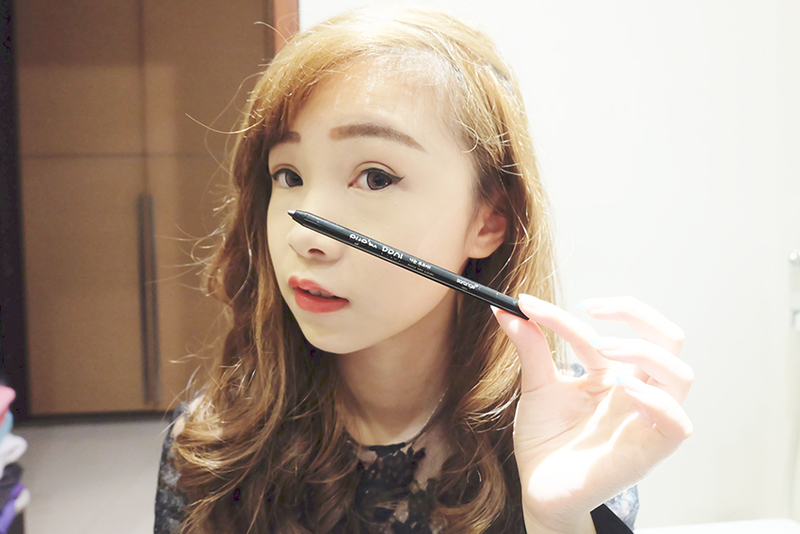 Its like drawing with pencil, the fine tip makes it easy to draw any types of eyeliner like cat eye or wing. If you want to look natural with your eyeliner or not the liquid eyeliner type, I recommend you to get this gel liner instead. Their products will be available at SOGO, SEIBU, SOCIOLLA, SEPHORA, JD.ID, PERFECTBEAUTY.ID, VIP PLAZA, LEJEL.COM.